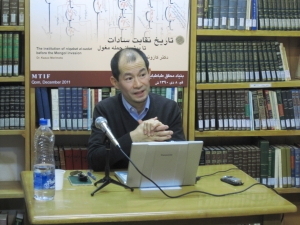 Kazuo Morimoto gave a lecture at the Mohaqqeq Tabatabai Islamic Foundation in Qom, Islamic Republic of Iran. The lecture, delivered in Persian language, was titled "The Institution of Niqabat al-Sadat before the Mongol Period." 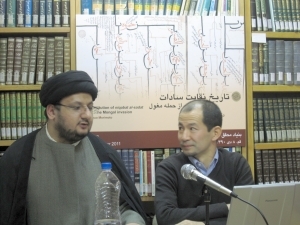 The lecture was followed by an active Q & A session, in which Morimoto profited from comments and ideas of colleagues in Qom with rather a different academic background. Morimoto, being introduced by Hojjat 'l-Eslam Sayyed Ali Tababayi Yazdi, Director of MTIF.